All albums cost €15 each. Price includes postage within NL. SPECIAL OFFER: Buy 2 albums for €24! Prices include postage within NL. “I have been privileged to work for almost 14 years with the musicians of the Windstreken Ensemble, musicians who have become friends. It’s a great pleasure to make music together on many diverse stages, during rehearsals and in the recordingstudio. In 2012, after a series of concerts, we recorded this new CD during a concert in Leiden. In this live setting, the playing tends to be more spontaneous and inspiring than in the recording studio. The guest musicians on the previous CD (Jörg, Kamal & Oene) have now become regular ensemble members. Percussionist, Udo Demandt has also joined us, and brings his unique blend of sounds to the ensemble. Composer, Leonard Evers challenged us with new compositions and arrangements. For three of his pieces, we were joined by the chamber choir of Collegium Musicum Leiden. Evers made special arrangements of music from the middle ages for this collaboration. The recordings took place in a church in Leiden, which provided perfect acoustics for the ensemble. Our technician did a great job by relying on the natural acoustics of the church, while maintaining the feeling of intimacy of the occasion. Between 2004 and 2009, we performed many concerts with the trio Windstreken (Pieter de Mast, Sebastiaan van Delft & Niti Ranjan Biswas). In 2009 we decided to record a new CD. We asked some renowned guest musicians and friends to join us. Oene van Geel (viola), Jörg Brinkmann (cello) and Kamal Hors (ud, voice) contributed to this recording, not only with their excellent playing and singing, but also with their compositions. We also started an inspiring collaboration with Leonard Evers, a talented young composer from Leiden. Evers wrote two compositions especially for this CD. It was recorded in 2009 in a “living room studio”, which provides a direct and intimate connection to the music. Sebastiaan is playing the so called “chest organ”, a small portable organ that we use also on many stages. “Nouzha” is an Arabic word, it means walk or promenade. In this case, a walk along different musical landscapes. On this CD we perform duos and solos for large organ, (alto-) flute & soprano saxophone. The repertoire contains jazz and classical compositions from the period 1934-2007. The mutual influence of these musical styles during this period is striking. The music (by a.o. Jehan Alain, Harald Genzmer, Frans Blanker, Pieter de Mast, Huub de Vriend) was composed or arranged for this combination of instruments and in many cases, especially for this recording. Offshore was recorded in the Nicolaikerk in Utrecht and in the Orgelpark Amsterdam. Organists Sebastiaan van Delft, Theo Visser, and Kris Goessens each brought their incredible skill and played in their own personal way on the different organs. Personally, this recording turned out to be a dear memory of an inspiring long term cooperation with Kris Goessens. The title, ‘Offshore’ was chosen because the combination of instruments and music styles is quite unusual. You could say we are operating at some distance from “safe land”! 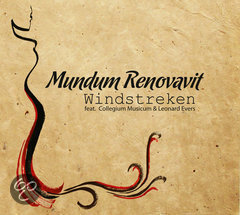 Offshore and Windstreken CDs were commissioned by the Orgelpark and came out under their own label. During a concert in Leiden in 2003, I rediscovered the organ as an instrument that blends remarkably well with my own wind-instruments, flute & saxophone. This experience resulted in CD recordings in September 2004 commissioned by the Orgelpark. On these recordings, which took place in the beautiful Nicolaikerk in Utrecht, Jozef Dumoulin plays the organs and Sandip Bhattacharya plays tabla. These two gifted musicians met each other for the first time on the day of the recording. So what you hear on this CD is a spontaneous, improvised session based on compositions by Oene van Geel, Frans Blanker , Georg Rhau (15th century), Marlies du Mosch, and myself. 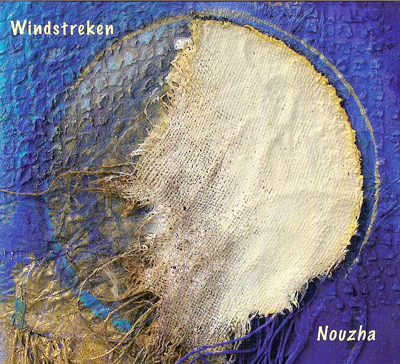 This CD title “Windstreken” also became the name of our ensemble. 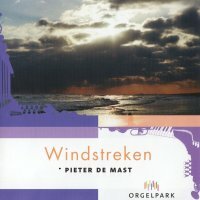 This Dutch word combining “wind” and “regions” was chosen because not only we are playing wind instruments (also the sound of the organ is produced by wind/air ), but we also like to make music with musicians from different parts of the world, in Dutch we say: “from different Windstreken”.